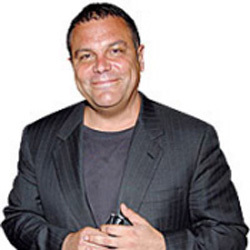 Stephen Starr now has two restaurants operating in Atlantic City, these being The Continental and Buddakan at The Pier Shops at Caesars. Stephen Starr first made a name in the music industry promoting concerts in Philadelphia. Among the performers he pr5omoted were Bruce Springstein, Maddona, Lionel Ritchie and Cyndi Lauper. He sold his successful Concert Company to The Electric Factory in 1990 and used the proceeds of the sale to enter the restaurant business. His Starr Restaurant Organization now owns or controls 18 of the most intriguing and successful restaurants in the region. Most are in Philadelphia, but also New York City and Atlantic City. 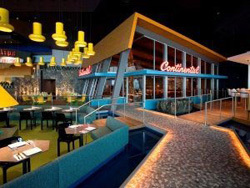 The Continental Atlantic City provides a clever mix of vintage elegance and vanguard sophistication invoking the drama of the rat pack days on the Vegas strip. The restaurant spaces incorporates such unique retro elements such as a sunken fire-pit lounge, populuxe bar and "outdoor patio," all accented by breathtaking views of the ocean. The global tapas menu showcases a variety of innovative dishes meant to be shared. and their special martinis are an essential part of the experience. The Buddakan Atlantic City features modern Asian cuisine. It is based on its namesake Starr restaurant of the same name in New York City. Buddakan’s impressive menu includes Boneless Char Cul Spare Ribs, King Crab Tempura, Chicken and Ginger Dumplings, Buddakan Stlye Sashimi, Kobe Beef Satay, Tuna Spring Roll and many more Asian Modern items. The Buddakan also offer a tempting array of exotic cocktails which include: the Tokyo Rose, the Zen Martini and the Komodo Dragon.